Meet Timothy Blake, codename Hangman. Blake is a genius, known for solving impossible cases. He's also a psychopath with a dark secret, and the FBI's last resort. A 14-year-old boy vanishes on his way home from school. His frantic mother receives a terrifying ransom call. It's only hours before the deadline, and the police have no leads. 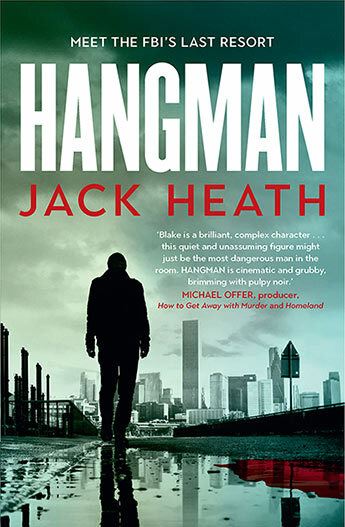 Enter Timothy Blake, codename Hangman. Blake is a genius, known for solving impossible cases. He's also a dangerous criminal - the FBI's last resort. But this time Blake might have met his match. The kidnapper is more cunning and ruthless than anyone he's faced before. And Blake has been assigned a new partner, a woman linked to the past he's so desperate to forget. Timothy Blake has a secret, one so dark he will do anything to keep it hidden. Already sold into five territories, Hangman is a mesmerising dissection of the criminal mind and a bulletproof thriller.